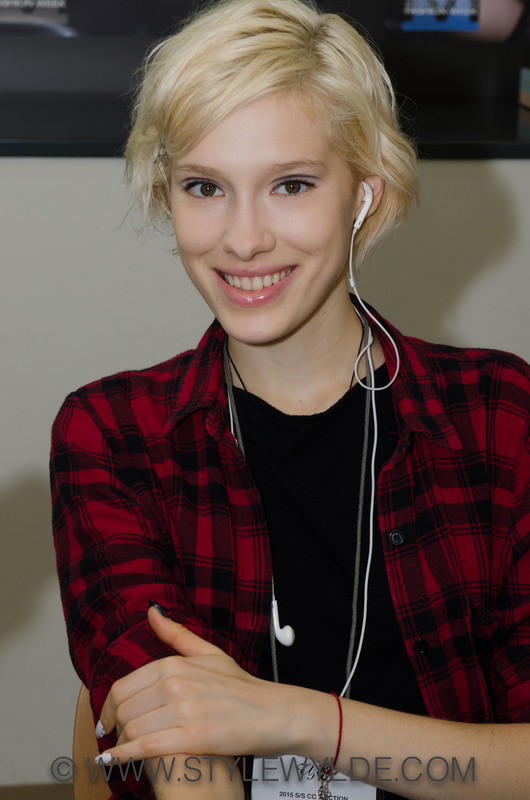 Simply elegant and flawless was the name of the game as teams from L'Oreal and Shu Uemura created a knock-out beauty look for the Ujoh Spring 2015 collection on Friday at Tokyo Fashion Week. The make-up team led by Kakuyasu Uchiide, top artist of Shu Uemura, was kept clean but accented with a dramatic smoky eye and a deep black shadow line in the crease of lids. I loved the work as it really reminded me of a modern, haute couture Audrey Hepburn. Also on the modern-couture Hepburn vibe was the lovely, loosely undone, but not overly messy buns created by the pro team from L'Oreal Nihon. 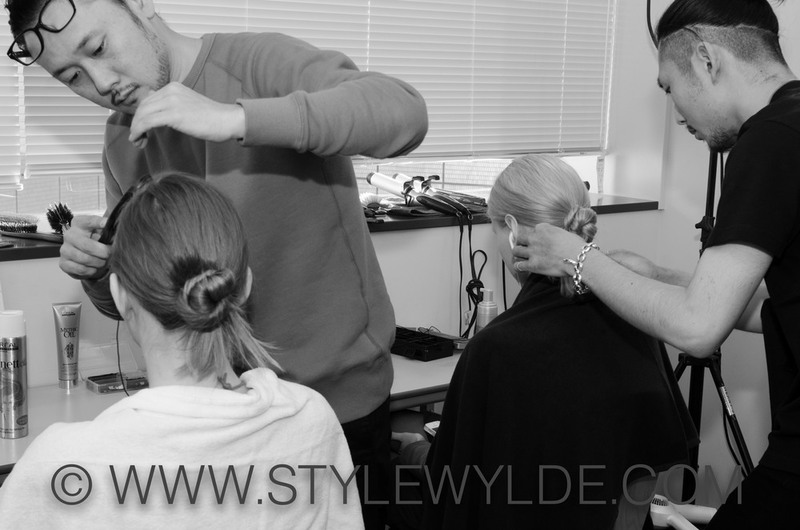 To create the buns, the team began by using L'Oreal Texture Expert mouse throughout the hair, with concentrated amounts along the deep side part. 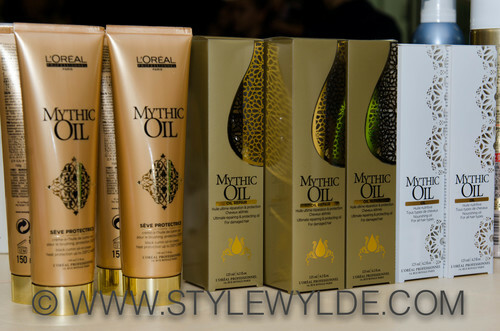 Stylists next used ample amounts of L'Oreal Mythic Oil throughout the hair to create a moisture barrier and tons of glossy sheen throughout the hair. Hair was then blown dry smooth before being wrapped and twisted into a loose bun at the nape of the neck, allowing ends to stick out below. Looking for more Tokyo fashion? Go here for complete coverage of the Spring 2015 season.